When I was in the final year of high school, the school governing body invited several spokespersons from academia and industry to tell us about what lay ahead. For most of us it was a time of excitement, anxiety and turmoil. In less than a year, we would forever leave the protective nest of the schooling system, where our future was reliably if frustratingly plotted for us, to chart our own course ahead. It was a huge step. We were grateful for any guidance that we could receive. Most of the speakers described the careers that were available in their field, why we should choose them, what was great about them. A few didn’t represent a particular vocation, but spoke to us more generally about what made a winning working professional, company or nation, and how to succeed. The common theme of all these talks was the importance of material success. It was the assumed goal behind choosing a career. Two other considerations also featured prominently enough – choosing what one loved to do and what one was good at doing. The ideal career was one that combined one’s talents and aspirations with income-generating ability to satisfy one’s yearnings for both material and emotional fulfilment. Taking their advice to heart led me to computer programming. It wasn’t a difficult choice. I loved working with computers ever since I was introduced to them in primary school. Getting paid for it sounded almost too good to be true. This delightful state of affairs effectively summed up the first five years of my professional life as a developer of business software. Towards the end of this period, my perspective on life began to shift. I became preoccupied with the big questions in life, including that of the purpose behind it. Relatively suddenly it became very important to know why I was here, what it was that I was supposed to accomplish with my life. I felt that there was a larger picture to consider than what I could discern from my limited perspective. I became desperate to uncover it. The purpose that I discovered initially was that of a healer, but not in the medical sense of the word. 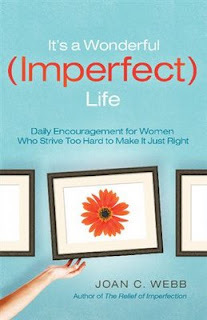 Rather, I understood it to refer to people’s beliefs and attitudes, and how those translated into goals and values. My purpose, as I understood it, was to help people improve these aspects of their lives so that they could realise their fullest potential. That was almost seven years ago. I’ve since refined my understanding of that purpose to one that could best be described as a healer of society. It contains the original formulation – one cannot heal the society without healing the individuals who comprise it – but extends beyond it to consider how we relate to each other and the environment on the largest scale. This level of insight and understanding exposed a whole new dimension of existence that I was not aware of before. The career deliberation that I had engaged in in my youth felt positively inadequate. Not that it was mistaken, but superficial. It arrived at an answer that I still believe was right for me, but without really knowing or even considering why. Life purpose doesn’t map neatly into existing job categories. There is no profession for healer of society. Instead, there are many, each contributing a skill or an avenue of change that, when combined, can trigger social renaissance. Oddly enough, software development has had a large part to play in this. I say oddly because a computer programmer is perhaps the last person one would expect to have social skills. We hide in our offices and cubicles so that we don’t have to deal with people with all their moods and problems. For us, computers are so much more predictable and easier to grapple with. Yet it was precisely this emphasis on structured logical thinking, and more importantly, modelling, that defined my approach to discovering how to live. It came at a price. Pondering life makes it difficult to immerse oneself in the here and now, but it also makes it easier to communicate what one finds to others. The skills that I had acquired as a software developer were instrumental in my personal transformation. This was the necessary first step before social transformation could be fruitfully attempted. Once it had reached a milestone, my interest in computers started to wane. Programming was still fun, but it just didn’t seem all that important anymore. There were other callings vying for my attention. One was writing. Now that I think about it, I’ve had sporadic interest in it ever since primary school. It became a hobby almost ten years ago, culminating in the publication of my first book in 2009. Another was coursework. Unlike programming and writing, this one wasn’t even on the radar until just over a year ago, when I started facilitating workshops on the subject matter of my second book. There was also experimenting with small-scale farming and composting and, more recently, catering. All of these were fuelled by my yearning for a more sustainable and fulfilling lifestyle. The last of these I’m in the process of converting into a business. Its goal is to popularise a more balanced approach to eating, one that pays as much heed to health and environmental concerns as the currently popular one does to affordability and taste. No doubt, there will be other vocations to capture my attention in the years to come. From the customary career-oriented perspective, dabbling in so many diverse professions may look like nothing more than a severe case of confusion and indecision. When examined with the stated life purpose in mind, however, a common thread can be seen running through them all. Each of them is a tool that can be used to help realise my life purpose. Each is preoccupied with communicating an alternative approach to living. With computer programming, it is about making the information content better structured and easier to grasp. With writing and coursework, it is about employing media well suited to its communication. And with catering, it is about making the better alternative so easily accessible that one no longer has a good reason to discard it. This is not the inherent purpose of these professions; each one can be used with entirely different goals in mind. It is simply the purpose that I’ve put them to. It is for this reason that labels ‘writer’, ‘chef’ and ‘course facilitator’ are as misleading as ‘computer programmer’. They confuse the tools with the life calling in whose service they have been employed. Looking back at my last year of high school now reveals severe deficiencies in the guidance that I received. It was useful as far as the initial career choice was concerned, but failed to engage the subject matter in any depth. By being silent on the question of life purpose, it gave the impression that there was no more wisdom to be found than what was already contained in the norms of our culture. This omission has had a definitive impact on the professional lives of many of my work colleagues. When their youthful fascination with computers lost its grip to make room for other pursuits, they were not sure where else to turn. Most tried to rekindle the earlier passion by making changes to their work environment, or by looking for it in an entirely different field. The question of life purpose generally remained unasked, and if asked, marginalised and unexplored. Sometimes I wonder what advice I would have to offer an assembly of high school students. Not a lot can be said in one address. Not much more can be tackled in short weekly guidance sessions that I attended during high school. Uncovering and living one’s purpose requires lifelong commitment. It would be naive to expect to do this in a few guidance sessions, and downright silly in a single speaking engagement. What can be done in the little time that we have is to alert our children to the fact that there is such a thing as individual life purpose, and that those who have discovered it derive tremendous satisfaction from living it. Furthermore, some societies, particularly aborigine or tribal ones, attribute such importance to it that they have been structured around it. Their culture is steeped in myths that talk about it and customs and traditions that encourage and guide their youth on this journey. It is a journey that leads to self-actualisation, and through it to cultural renewal. Without the social support structure, the message might not succeed at catching the youngsters’ attention. What it can still do, however, is plant itself as a seed inside their consciousness, to sprout and blossom once they are sufficiently dissatisfied with the cultural norms within which they were raised. The idea of life purpose will give them an alternative, more constructive way of handling the midlife crisis. Instead of trying to overcome it to continue living as before, they can recognize it as an invitation to undertake a journey of self-discovery. Only now, they will have the requisite life experience to appreciate what living a life of purpose has to offer, and the wisdom and courage to heed its call. Hrvoje Butkovic is the author of the book A Glimpse of Another World and Living Deliberately. For more information, please visit http://fluffygroovy.com. One of the key features of writing a book review is to determine a book’s purpose and whether the author achieved it. 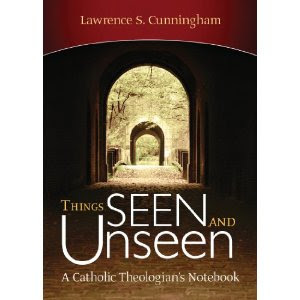 As the title states, “Things Seen and Unseen” by Lawrence S. Cunningham, a longtime theology professor at Notre Dame, is a notebook – it is a collection of random thoughts on readings and life as a theologian. In reading it, I felt a bit like I was reading a collection of blog posts. As a blogger myself, I can appreciate the value in that. In his introduction, Cunningham quotes what Karl Rahner said about his life as a Jesuit theologian, “I did not lead a life. I worked, wrote, taught, tried to do my duty and earn a living. I tried this ordinary way of serving God.” Cunningham states that this book offers slices from his own ordinary way. In that, he has succeeded. “Things Seen and Unseen” will appeal most to other theologians. These are short reflections, often referring to other theologians, religious works, etc. The text presumes a certain familiarity with them. One can certainly appreciate the text and the ideas without this knowledge, but one will be missing the fullness of it. Cunningham writes that he hoped in his teaching to instill the “love of learning and a desire for God” in his students. “Things Seen and Unseen” is one more way for him to achieve that goal. In Bible Study this week, we were studying the parable of the talents (Matthew 25:14-29). Before going away on a long journey, a master calls in three servants. To one he gives five talents; to another, two; to a third, one – to each according to his ability. Much later, the master returns and asks for an accounting. The one with five has managed to accrue ten. The one with two now has four, but the one with only one had gone and buried his talent. Therefore, it didn’t grow and he only had one to give to his master upon his return. The master was very pleased with the first two servants who had utilized their gifts and made more. The third servant he treated with contempt: “You wicked, lazy servant!” The master then took that one talent from him and gave it to the one who had ten. The point of this parable is pretty obvious. Even a child would tell you that it means we are supposed to use the gifts that God gives us. He will hold us accountable for what we do with them. It seems rather straightforward. Use our gifts well and they will multiply. Ignore them and they will stagnate. What happens when this doesn’t go according to plan, however? Sometimes, life is so hard. We pray to do God’s will and try to do it, and yet we seem to come up empty. The conventional wisdom is that if you are failing, you aren’t doing what God wants you to do – that if you are doing God’s will, you will meet with success. But what if you believe you actually are doing what God wants you to do? Where do we fall in the parable? We are not the servant who buried his gifts. We tried all we could. Did the servants who doubled their talents actually struggle in the process? Did they fall down repeatedly before achieving success? Does the parable just not tell that side of the story? That thought gives me some hope. Our parable isn’t done being written yet. Maybe God has some plan we just can’t see. Maybe our work, our talents, is bearing some fruit we are unaware of. Maybe we are right where we are supposed to be. All we can do is keep trying. If we are truly doing God’s will, then we are where we belong. I am reminded of Mother Teresa’s statement: “We are not called to be successful, only faithful.” We are the fourth servant. I have to believe the Master will reward us in the end.